“I try hard to live in ways that don’t let fear call the shots.” Me too, as I’ve resolved again recently, but already my resolve is being tested. Thanks for writing. Thanks for the encouragement!! That is so true! Even when: let’s say singleness or long term illnesses are painful and undesirable they have some wonderful jewels hidden under the pain. Thanks for sharing! 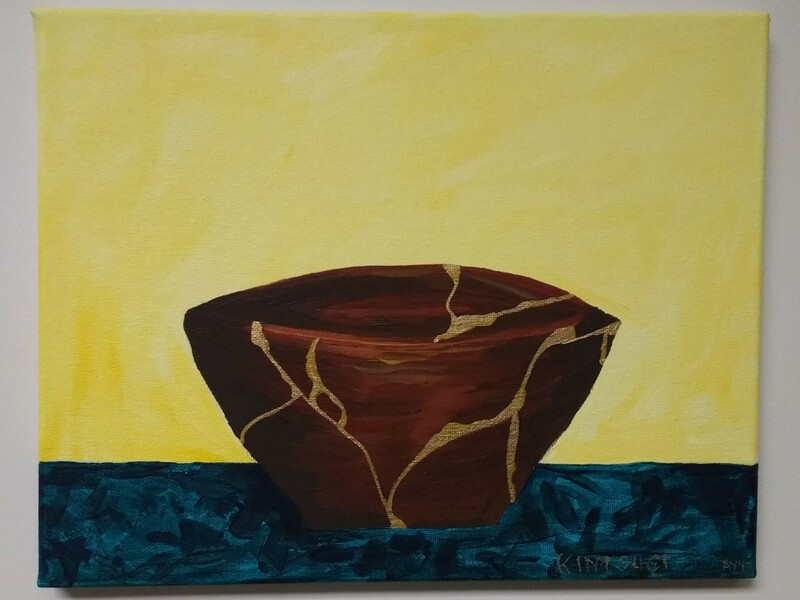 Let’s trust God to mend the cracks and imperfections. He is a pro at that!! Good words to fill the broken pottery bowl that has taken up a prominent space since the day I sat in your office. Thank you! Good stuff! I would love to have tea with you, and hear the story you shared with the class, and talk about pain and joy and dreams. =) Blessings! I’d love to chat with you Ruth Anna! So good to hear your beautiful heart express itself once again. I miss you!